Raised in Kansas City, Kevin Morby learned guitar at a young age and dabbled with bands in his teens, though had no real aspirations to play music full-time upon moving to New York City at 18- he simply wanted to experience life in a place he’d fallen in love with from afar. Joining beloved noise-folk institution Woods, the band with which he got his professional start and rose to national acclaim, was simply fortuitous, an act of making new friends and fast assimilating into the musical community of New York City. As Woods’ bassist, Morby cut his teeth on the road and in the studio, circling around a time when the band’s own label would give a start to many on-the-rise acts like Kurt Vile, Wavves, and Vivan Girls. Then, after bonding and later rooming with Vivan Girls’ Cassie Ramone, Kevin honed his skills as a frontman, forming well-received indie group The Babies. Since departing Woods and putting The Babies on pause, Morby has been enjoying a celebrated run as a solo artist, beginning with 2013 debut Harlem River, a love letter to his adopted home of New York, crafted after a move to Los Angles, originally conceived an acoustic effort but fleshed out with a full band. 2014 sophomore release Still Life, a more indie rock rooted departure from his folkier debut, brought Kevin more critical acclaim, and 2016’s Bob Dylan and Joni Mitchell channeling Singing Saw further flexed the rising artist’s story-driven, timeless style, which also adopts pieces of punk and lo-fi rock. Last year’s City Music, a sort of ode to the metropolitan experience, calls more to the stylings of Lou Reed and Patti Smith, and further flexes Morby’s range and knack for nostalgia, while keeping his sound modern and fresh. Along with Hand Habits, the supremely chill, kindred spirit project of Meg Duffy, steadily building buzz in her own right, Morby returns to Nashville tonight, April 17 at The Basement East, for the first time since a Third Man outing more than a year ago with Waxahatchee, and for the fourth time in just as many years. This is Kevin’s first turn on the east side, and tickets are still available here while they last! 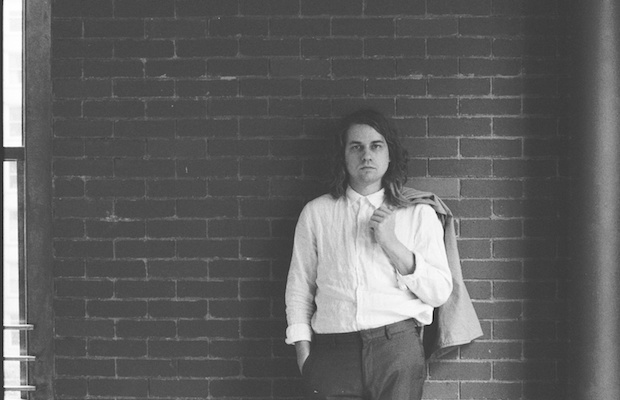 Kevin Morby and Hand Habits will perform tonight, April 17 at The Basement East. The show is 18+, begins at 8 p.m. (doors at 7 p.m.), and tickets are available to purchase for $15. Umphrey’s McGee To Play The Ryman on February 6th, Tickets On Sale October 31!